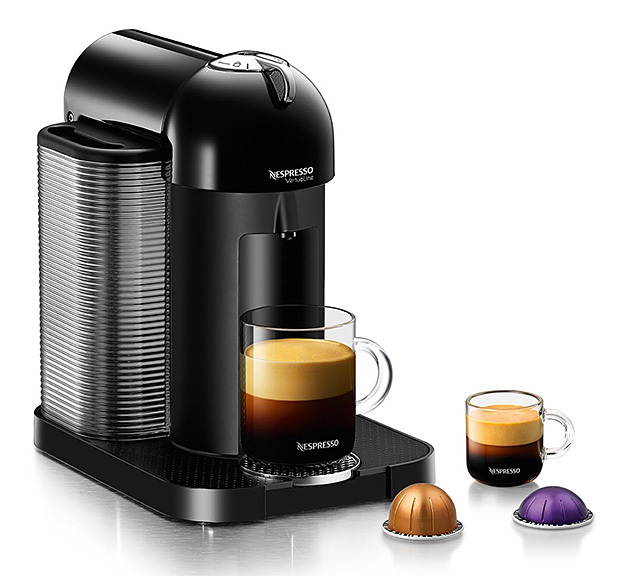 Nespresso Vertuo Line Now Makes American Style Cup Of Joe | OhGizmo! Nespresso machines make some pretty delicious espresso, but if you’re the kind that likes to drink their coffee in industrial quantities, American-style, then these toys aren’t for you. That’s until now, since the company’s new Vertuo line is also able to churn out an 8 oz. cup of coffee in addition to its traditional 1.35 oz. shots. Sure, 8oz. doesn’t even come close to a Starbuck Venti, but this is sure to become a welcome addition nonetheless. It’s $300.